We're working together for a brighter future. Coffee is more than a beverage, or even an industry - it's a community. This has been true ever since the first coffee houses were established centuries ago. The National Coffee Association is committed to growing our industry in a socially and environmentally responsible way. We support the many ways that our members offer their time, resources, and energy to improving the world we share. Stay tuned to this space (or connect on social media) for new updates on what we're doing, and how you can get involved. 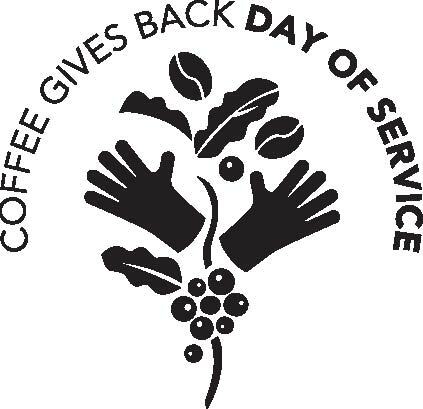 The NCA Annual Convention coincides with the NCA’s Coffee Gives Back Day of Service, which provides an opportunity for participants to get their hands dirty (sometimes literally) and support the local community. This year, the NCA 2016 Convention Day of Service was dedicated to the U.S. troops serving in the line of duty. Volunteers travelled to MCAS Miramar, the Marine Corps Air Station, to prepare care packages to provide some comfort and a touch of home to U.S. service men and women stationed overseas. Volunteers also had the opportunity to learn more about how the coffee industry can work with returning U.S. veterans and their families, to provide them with the careers and community they need. In 2015, the NCA teamed up with The Bee Cause Project and Middleton Place in Charleston, S.C. to help build a sanctuary for honeybees. The small insect has a huge impact on our entire ecosystem: With rapid urban development and growth of cities, honeybees are left with less and less available foraging. Studies have shown that plants pollinated by honey bees produce a 7% heavier yield on average and as high as 50%, including coffee plants. Learn more: The Bee Cause Project: "We're all in this together"